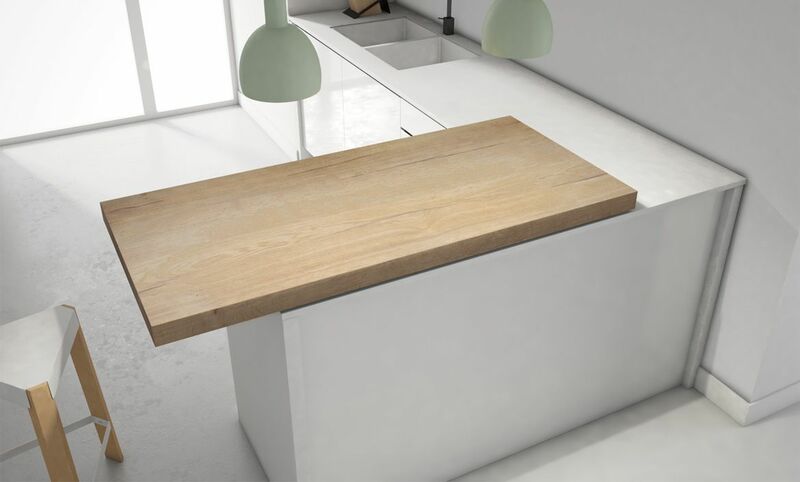 Snack is a movable solution and custom - made for kitchen worktops. 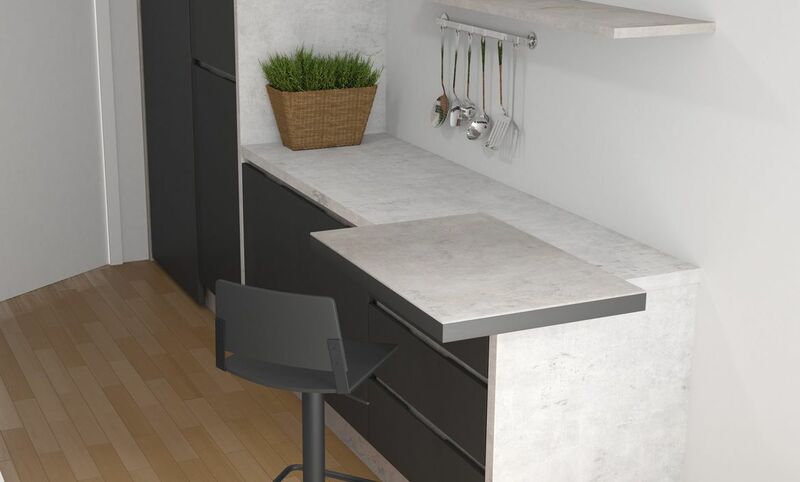 Snack kitchen bar is an over - counter, which moves in both directions in order to gain enough space to the over - counter, it comfortably allows using the surface with bar stools or even standing. 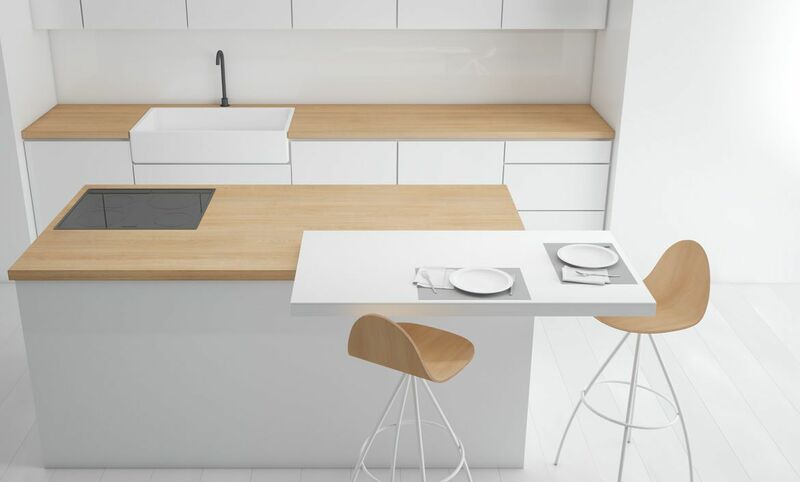 It has interior slides, which allow a smooth and silent movement, and also a brake system, which blocks the bar in any part of its pathway to avoid that it moves while you are using it. 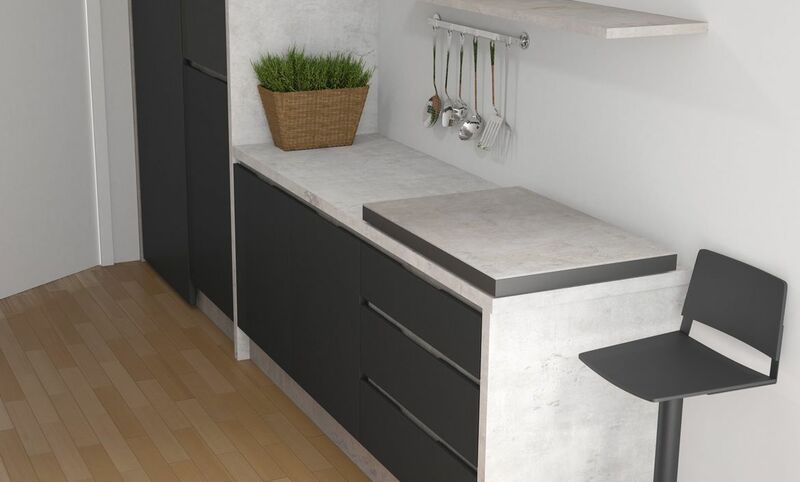 It has been thought for kitchens, which are especially small or also for those in which you can incorporate an auxiliary area, where you can prepare a quick breakfast or snacking without the need of having a seat at the table. 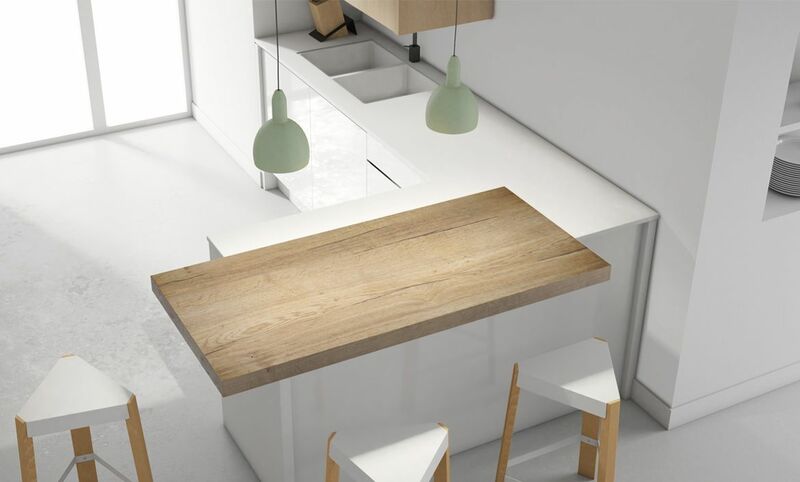 Snack is manufactured in six standard measurements or custom - made, and provides a wide range of finishes, from a laminated wood - effect, glass or porcelain, fashionable material, because of its high level of resistance to scratches and heat. 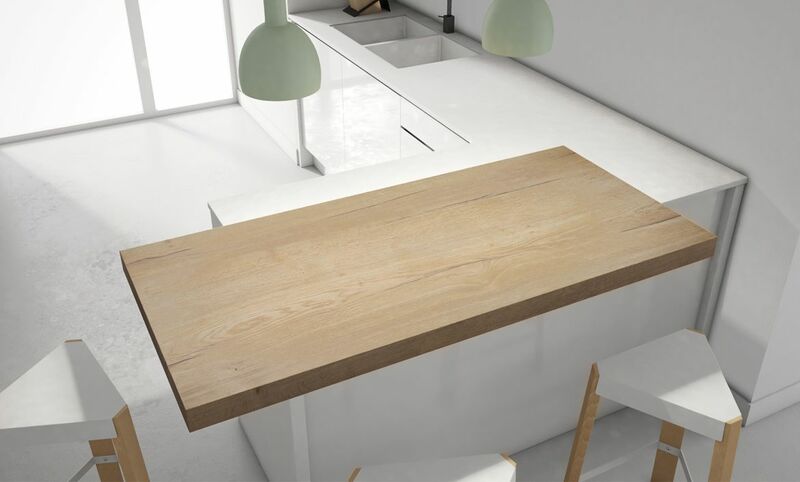 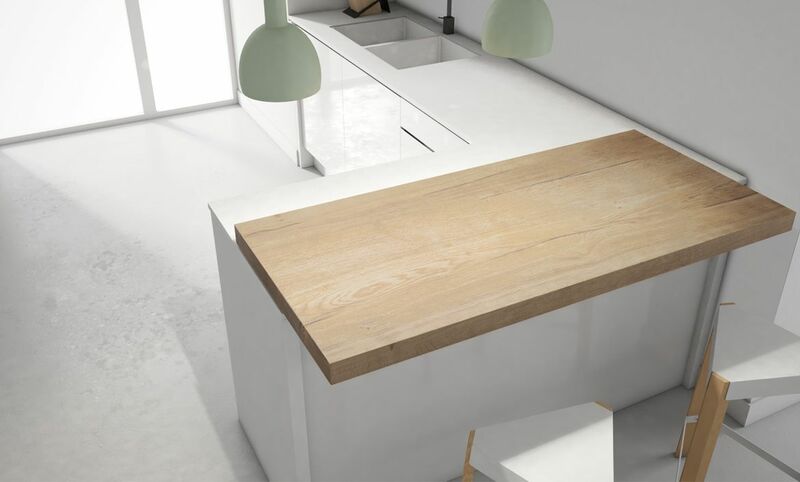 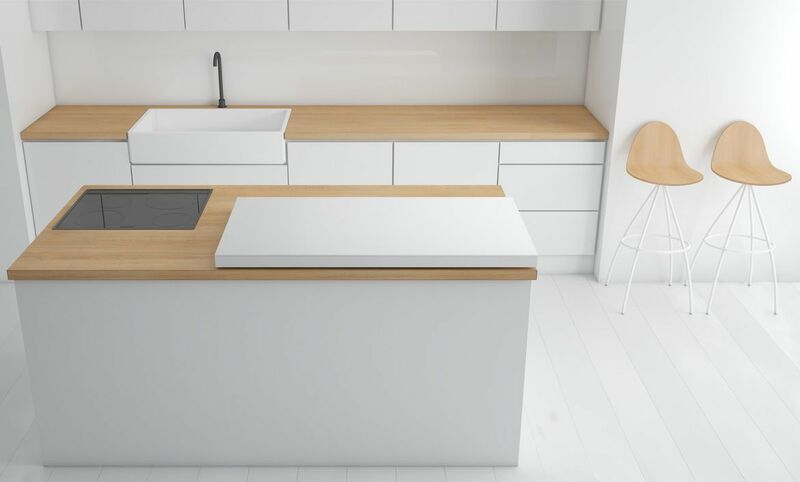 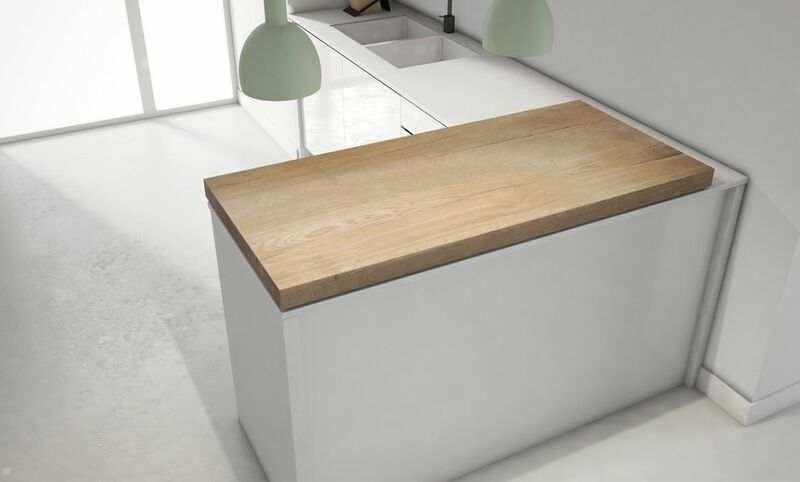 It is also possible to provide the bar body with the movement mechanism, so that the user may place the material that wants, either matching with the same material as the kitchen worktop or also by contrast with it.